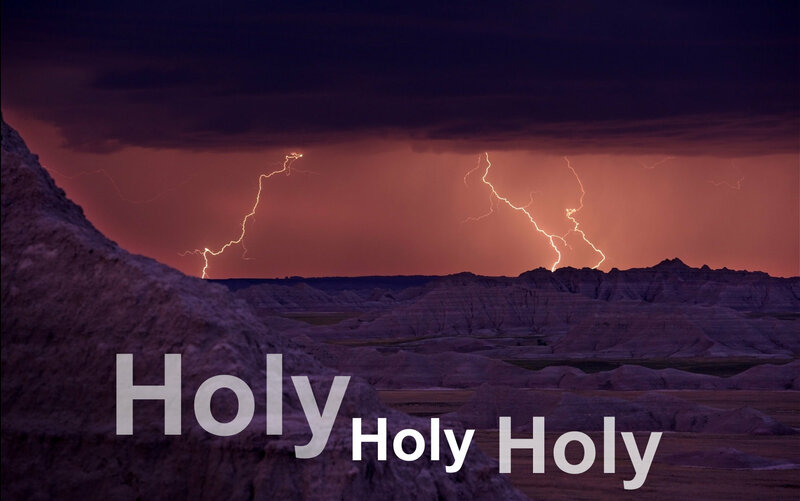 In Isaiah chapter 6, the angels declare that the G-d of Abraham, Isaac, and Jacob, the LORD of hosts, is "Holy, Holy, Holy". This is a poetic way of saying He is most Holy. So what is holiness and how is G-d most Holy? At its essence, holiness is the "specialness" or "uniqueness" of something. These verses testify to the uniqueness of G-d. He is a singularly unique individual and "there is no other" like Him. 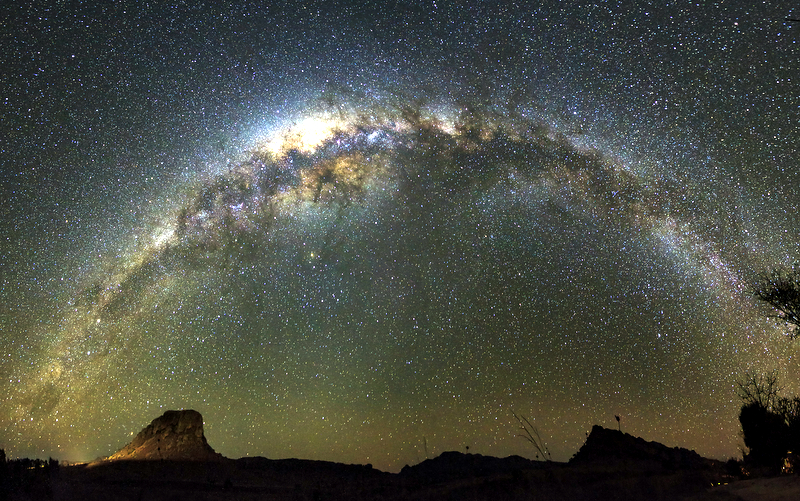 It is in this singular uniqueness that G-d is not just Holy but most Holy. He is intrinsically Holy because of who He is. What about everyone and everything else? The opposite of "holy" is not "bad" or "immoral". The true opposite of "holy" is "common". A spoon in your kitchen is "common": it is used for every-day purposes. It isn't evil or wicked; it's just ordinary. A spoon that is only used for Thanksgiving dinner, however, could be considered holy [special] for Thanksgiving. It has been taken out of its ordinary status and made to be special. People or things that are holy [special] in G-d's eyes are often described as "holy to the LORD" (e.g. Exodus 28:36, Numbers 6:8, 2 Chronicles 35:3, Nehemiah 8:9, Luke 2:23, etc). G-d took the seventh day of the week and changed it from common to holy. Sometimes this is called being "set apart" (e.g. Deuteronomy 10:8, Nehemiah 12:47, Romans 1:1) "consecrated", or "sanctified"... but it essentially just means "made holy". So whenever you see "holy" think "this is something or someone special, unique, or set apart from the ordinary." Who are the holy ones? Who are these "holy ones"? In some verses "holy ones" refers to angels and in other places it refers to people who are "set apart" to the LORD. The Bible was originally written in Hebrew, Aramaic, and Greek. The Hebrew word for "holy" is קָדוֹשׁ [qadosh] and the Hebrew word translated into English as "holy ones" is קְדֹשִֽׁים [qedoshim]. We are exhorted to "be holy" [special or set apart to G-d] in "all your behavior". Peter says we should be holy because "it is written, YOU SHALL BE HOLY, FOR I AM HOLY". He isn't shouting at us. All capital letters like that tell us this is a quote from elsewhere in the Bible. So where is that written? These words are only found in three places in the entire Bible: Exodus chapter 22, Leviticus chapter 11, and Leviticus chapter 19. Peter is connecting "being holy" in "all our behavior" with these passages from Scripture! Peter says we can "be holy" in "all our behavior" by following G-d's instruction found in these passages of Scripture. If we are to be the "holy ones", the qedoshim, in our generation then we should begin by seeking the ways of the One Who has called us to "be holy in all our behavior". 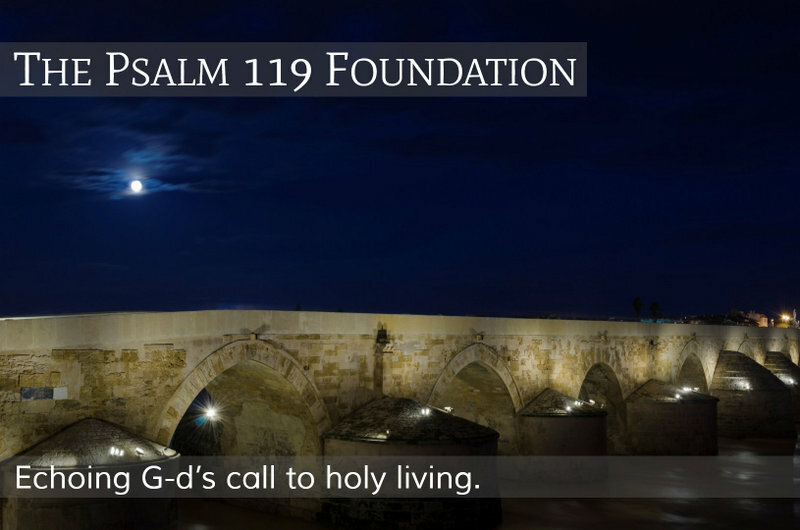 The Psalm 119 Foundation stands ready to assist anyone who seeks such a life. Qedoshim.com is a service of the Psalm 119 Foundation, a non-profit educational organization dedicated to sharing the Word of G-d and encouraging others to live sanctified and holy lives. We offer free online services ranging from the teachings of the Rabbi Yeshua on TheRabbi.org, topical Bible studies, commentary, timelines of Biblical history, and other resources on Psalm11918.org, to our fellowship finder on FellowshipFinder.com that connects believers in the Messiah of Israel with others all over the world. Learn about all of our services at ThePsalm119Foundation.org.